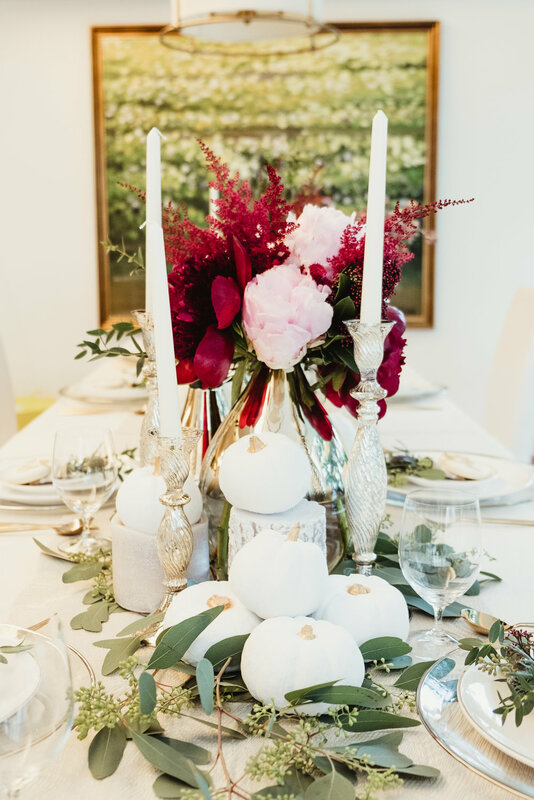 This Thanksgiving dinner came at the best time when we needed something different from kiddie parties. Elegant dinner? Yes please! 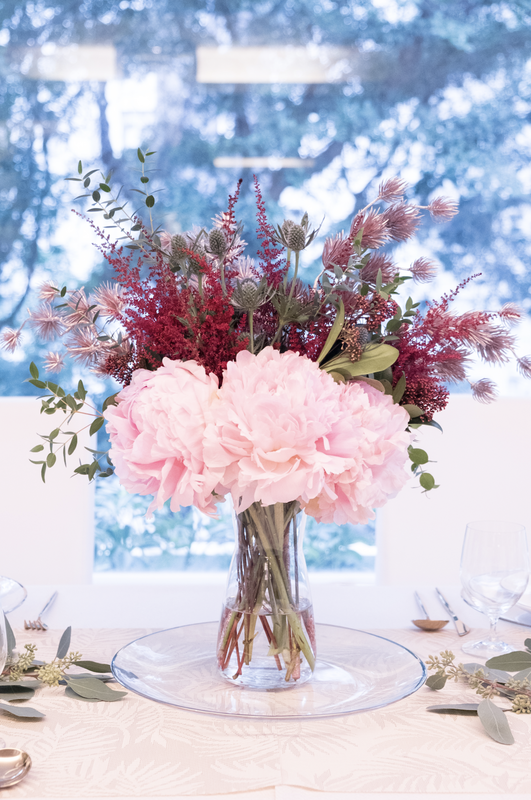 We were so excited to put this tablescape together. 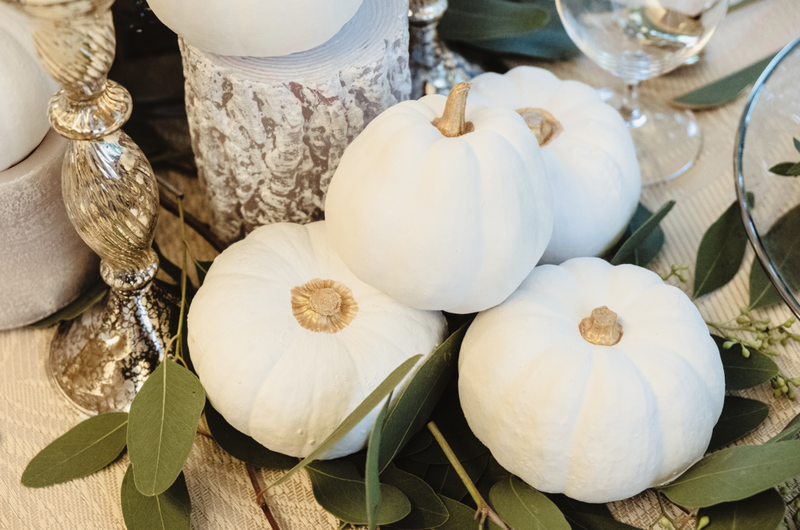 We handpainted small pumpkins in white and gold and put these against a forest of eucalyptus leaves, candles, delicate glass vases with lush flowers in white, pink and currant red, and beautiful candelabra. We used modern tableware – gold trimmed ceramic plates and glass chargers with gold utensils. We had printed runners that had this subtle foliage pattern and we placed them over a shimmery table cloth. Instead of name cards, we got The Little Whisk to make white pumpkin cookies with the word “grateful” in gold script. Our client had a beautiful home and we also put some vignettes together for other tables in the living room, the bar counter where the kids sat, and the buffet table. 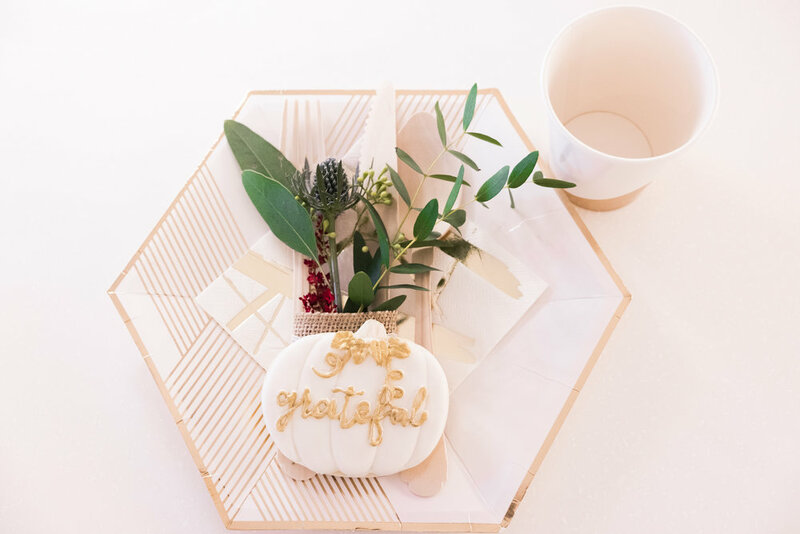 We made sure all the elements matched the setting and while it was modern, we made sure it still felt warm as the special holiday embodies.